Ives in OUR MAN IN HAVANA. 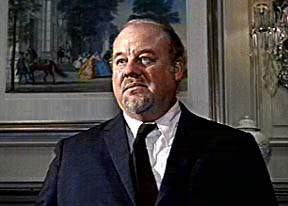 Burl Ives won his Supporting Oscar for playing a tough cattle baron involved in a war over water rights in THE BIG COUNTRY. Burl Ives was one of six children, born of Scotch-Irish parents on a farm in Jasper County, Illinois. Growing up, Burl's two loves were music and football. 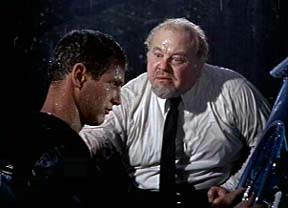 Burl Ives enrolled in Eastern Illinois State Teacher's College in 1927, intending to become a football coach. But, in 1930, he dropped out and spent the next few years roaming the country, working odd jobs and earning tips as a street singer. 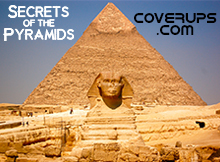 In 1940, he got a job with CBS radio; popularizing the many folk songs he learned on his wanderings. 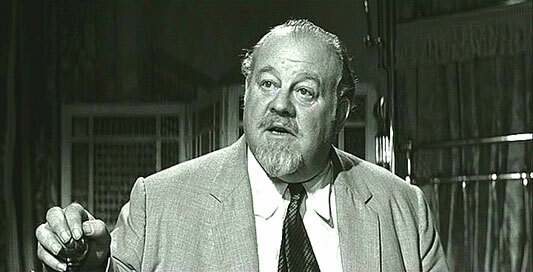 Burl Ives made his mark playing the character, 'Big Daddy', in his 1938 Broadway debut in CAT ON A HOT TIN ROOF; a role that Ives played again in the 1958 film version. 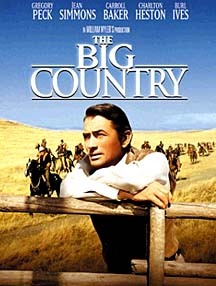 Burl began his movie career, (spanning four decades in over 30 pictures), as a singing cowboy, in the 1946 film, SMOKEY. 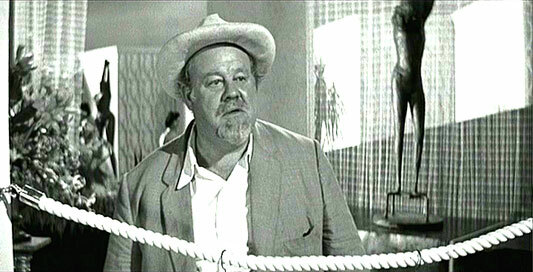 Besides winning an Oscar for his supporting role in THE BIG COUNTRY, Burl Ives also recorded 30 albums for Decca and another dozen for Columbia, having many hits on both popular music and country charts. At the age of 80, Burl Ives retired from show business but kept singing for charity benefits up until his death, in 1995. 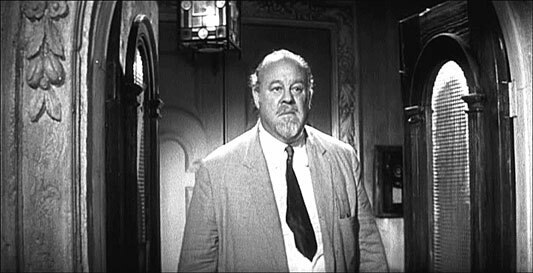 Burl Ives in OUR MAN IN HAVANA (1959). 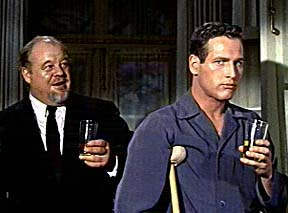 Burl Ives and Paul Newman in CAT ON A HOT TIN ROOF.